On January 7, Brian Gammage, brought to our attention, through a blog post, an interesting video. 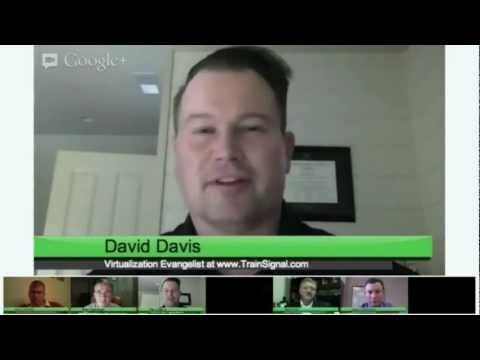 David Davis, Virtualization and Cloud savvy at TrainSignal, Author and vExpert, discussed on the vmWare blog of a recent Google+ Hangout about cost and business benefits of Virtual Desktops. Davis explored the financial and technical benefits of desktop virtualization, still using the concept of cost saving as a trigger, he gave examples of how an organization can have centralized control and application consistency increasing security.